Considering expanding or relocating your business? Tacoma Public Utilities partners with economic development organizations around our Pierce County region to meet the needs of businesses. 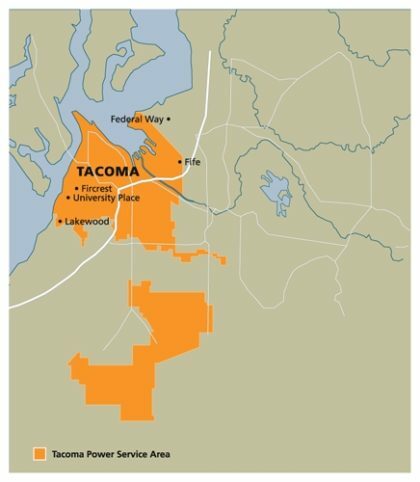 Publicly owned since 1893, TPU provides power, water, rail, cable television, and broadband services to the Tacoma-Pierce County region. TPU operates entirely from revenues from sales of services, not from taxes, and is governed by a Public Utility Board. Contact Erik Andersson, Economic Development Manager for more information, at (253) 441-4574 or eandersson@cityoftacoma.org. Save money and lower your operational carbon footprint with electricity that comes from Tacoma Power’s locally-operated hydroelectric dams and other clean generation facilities in the Pacific Northwest. Take advantage of Tacoma Power’s award-winning energy efficiency programs that increase operational effectiveness and help fund equipment upgrades to your facilities. 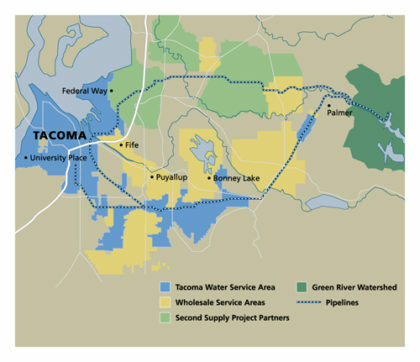 Tacoma Water’s average available supply, primarily from the Green River Watershed, is 110 million gallons per day, double the average daily use. Our state-of-the-art filtration plant ensures the quality of the water we provide. 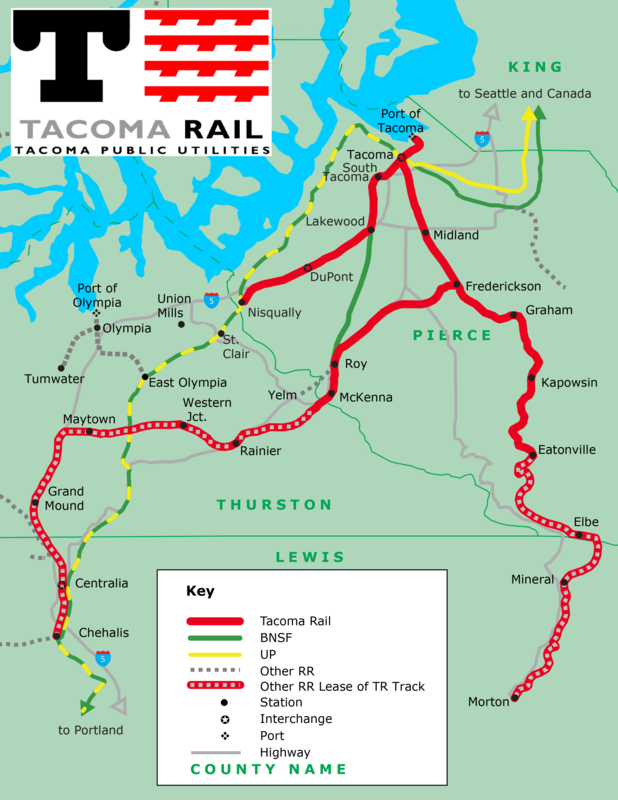 Tacoma Rail operates 204 miles of track within Pierce, Thurston, and Lewis counties that provides high-quality rail service to key freight connections. Tacoma Power offers a variety of commercial and industrial rebates to help business customers reduce operating costs and maximize profits. A zero-interest loan, up to $100,000, combined with financial incentives from our efficiency programs, can help make energy efficient upgrades cost-effective for your business. Tacoma Power’s New Construction Program will help you save from the beginning. For new construction projects, the design and planning stage offers the greatest opportunity to conserve energy and save money on utility bills. Commercial and industrial businesses can receive valuable incentives from Tacoma Water for water-efficient upgrades that will save water and money. We designed our incentives to help offset up to 50% of the initial costs of hardware and equipment that result in water savings. Click!’s state-of-the-art network is designed to be reliable and flexible to support a variety of business needs. With a choice of telecommunications providers and a selection of products, Click! Business Services are built to support business growth and expansion. Tacoma Public Utilities and the City of Tacoma use SAP Ariba, a platform that streamlines procurement and payables processes, making it easier for businesses to contract with us as suppliers. Vendors can register in SAP Ariba to be eligible to bid on future sourcing events with TPU and the City of Tacoma, as well as gain access to a nationwide network of potential customers. Registration information is located on the City of Tacoma Purchasing website. TPU works with a team of partner organizations around Pierce County to promote economic vitality in the communities we serve.